This model is 1200mm (120 cm). The Hi-Line Plus fans include both a long and short down rod packaged as standard. The total drop length of the short down rod including motor is 150mm. The total drop length of the long down rod including motor is 400mm. 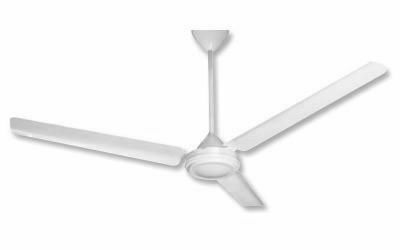 Hi-Line Plus fans should be used only with a Vent-Axia ceiling fan controller or an On/Off switch. For normal installations the 400mm down rod length should be used. The shorter (150mm) down rod length should be used where fans are to be mounted to beams below the ceiling or roof.